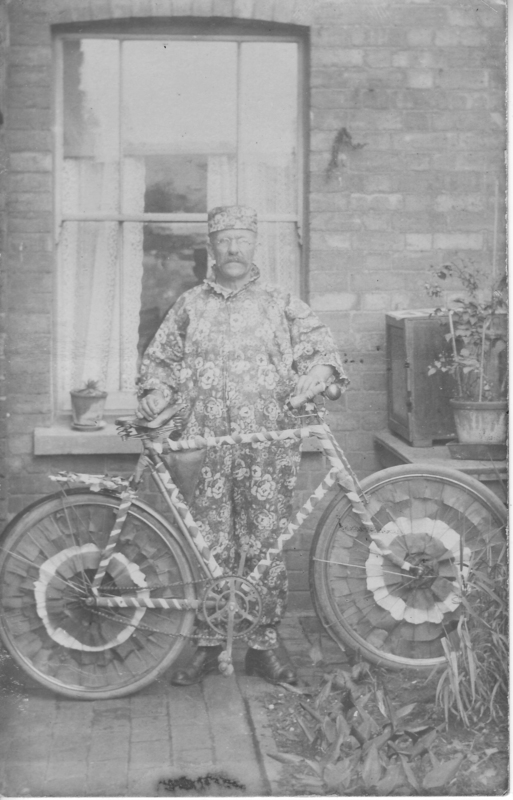 At the turn of the century, Amos Barker used to get out his bicycle regularly and cycle from ‘Brayfield-on-the-Green’, Northamptonshire, to the village of ‘Bozeat’ a few miles away. There he used to see his sweetheart, Florence King. Still that old bicycle is in good condition and used. Amos rides it although he is 86. 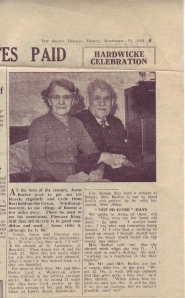 Today, Amos and Florence celebrate their Golden Wedding Anniversary. It is 50 years since they said, “I will” in the church of ‘St Lawrence’ at ‘Brayfield’. Then Amos was 36 and his bride was 22. Now they are much older, but still they are bright and cheerful. After a hard life they looked back and they are thankful. For most of their lives, Mr. and Mrs Barker lived at Wolverton where Amos worked in the railway carriage works. But since he retired 21 years ago they have lived mostly in the thatched cottage of Mr and Mrs H. Allen of ‘Lower Road, Hardwicke’. For, though they have a cottage at ‘Bozeat’, Mrs Barker is not ingood health and prefers to be with her cousin, Mrs Allen. I remember visiting Uncle Amos and Aunt Flo at their cottage in ‘Bozeat’. Uncle Amos had lost his sight and had to ‘feel’ my face to get a picture of me in his mind. 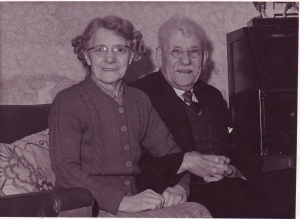 Amos died in May 1958 aged 90 years and Florence died in May 1973 aged91 years.